The Edgewood Locker is recalling one of their items. The company announced Wednesday it is recalling approximately 207 pounds of beef sticks with cheese for possible Listeria contamination. The affected product is identified on the label with a lot number 348 and a packaged-on date of December 15, 2015. The product is packaged in an 8-oz. or 2-lb. pound size and was sold through the Edgewood Locker in Edgewood or Greenwood Grocery in Farley. The West Delaware School District tells KMCH that a small number of packages of 8-oz. beef sticks with cheese sold by the West Delaware FFA may also be affected. Listeria is a pathogen found in the environment. The very young, elderly and those who have comprised immune systems are especially susceptible if they eat product contaminated with Listeria. The problem was discovered through routine environmental testing conducted by the Edgewood Locker. The company has taken all necessary precautions to control any product and will continue to evaluate the situation. 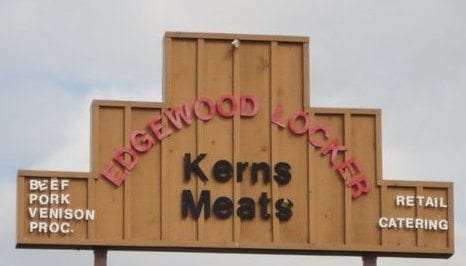 The Edgewood Locker continues to work with the State of Iowa Department of Agriculture and Land Stewardship’s Meat and Poultry Inspection Bureau to address concerns of customers. At this time, no illnesses or adverse health reactions have been confirmed. Anyone who has purchase the possibly-contaminated Edgewood Locker beef sticks are urged not to eat them. They should be thrown away or returned to the place they were purchased for a refund. If you have any questions, contact the Edgewood Locker retail location at 928-6814.